There is sufficient clean water in our tank so students no longer have to walk to fetch water from the nearby spring. Students are even able to observe personal hygiene (like hand-washing) due to the training they attended on sanitation and hygiene. 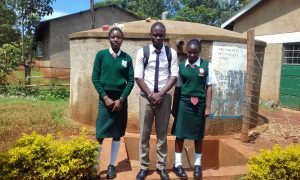 A year ago, generous donors helped build a rainwater catchment system and latrines for Chambiti Secondary School in Kenya. Because of these gifts and contributions from our monthly donors, partners can visit project sites throughout the year, strengthening relationships with communities and evaluating the actual water project. These consistent visits allow us to learn vital lessons and hear amazing stories – we’re excited to share this one from our partner, Samuel Simidi, with you. Enrollment has spiked since the surrounding communities heard that Chambiti Secondary School now has clean water. Classrooms are clean and students feel comfortable in a conducive learning environment. Study time is no longer wasted since there are sufficient sanitation facilities and clean water available on school grounds. 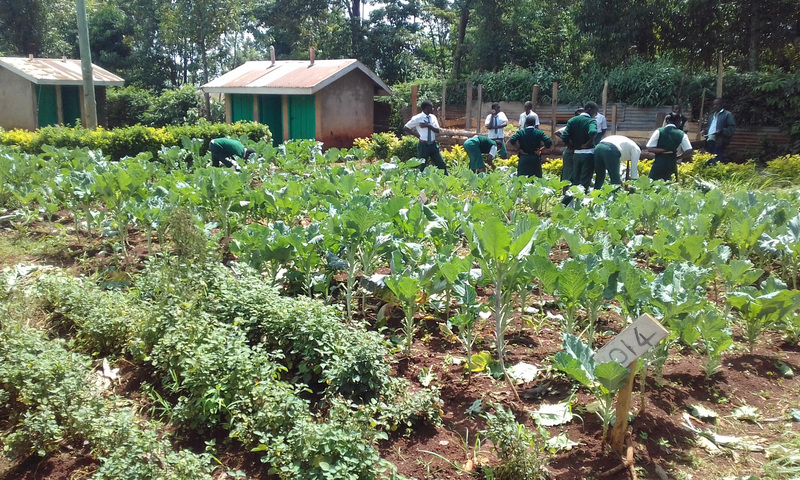 Students use the tank’s water to irrigate their agriculture project. Faith Atunda at the rainwater catchment tank. 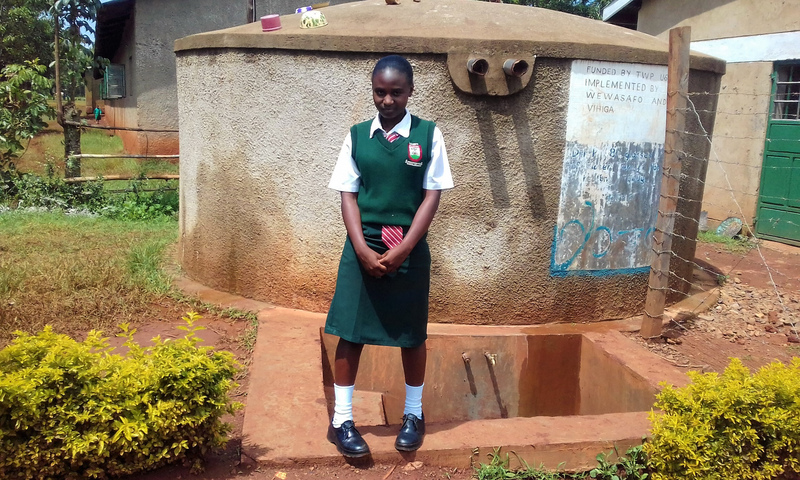 17-year-old Faith Aronda is a student at Chamibiti Secondary School. She told Samuel that there’s always sufficient water for what she needs, and that she’s been able to practice personal hygiene. Her performance in exams has improved this year because she has been able to save time… Check out the video below to watch Faith’s interview for yourself! When you invest in The Water Project, you're investing in people like Headteacher Ojinda. Your gifts help us reach more communities with the gift of clean, safe water. And every drop helps unlock potential.